Despite an $800 million appropriation that includes money to permanently station more troopers near the Rio Grande, DPS will continue borrowing officers from around the state for border security. Despite an $800 million appropriation that includes money to permanently station more state troopers near the Rio Grande, the Texas Department of Public Safety will continue rotating officers from around the state in and out of the border counties for the foreseeable future. 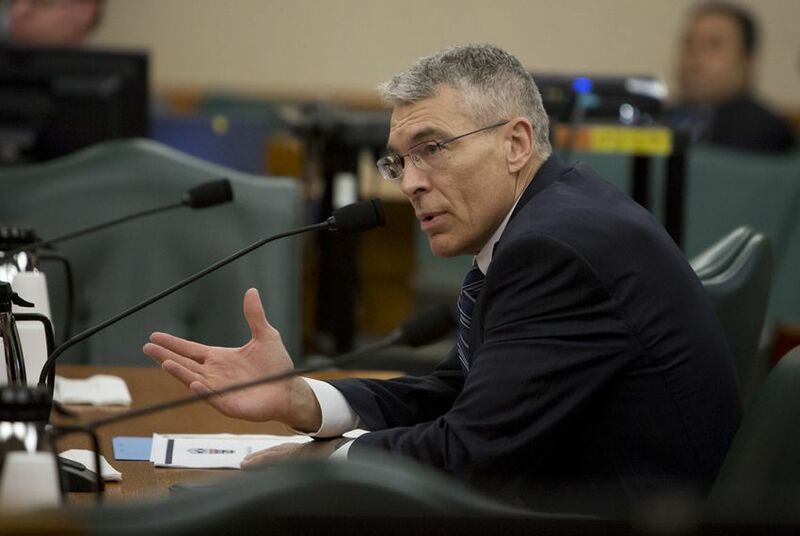 That acknowledgment by Texas DPS Director Steve McCraw came during an interim Joint Committee on Border Security hearing at the Capitol Thursday, where lawmakers also heard that some county sheriffs say they were left out of key discussions on the border-security effort. McCraw said that since August, 124 new troopers have been sent to the border region, including many who had previous law enforcement experience and graduated from an abbreviated department trooper academy last summer. About 140 new cadets are currently in training. State police began rotating in and out during the summer of 2014 in response to a surge of tens of thousands of undocumented immigrants that crossed into Texas that year. The Legislature’s $800 million appropriation was designed to create a permanent presence, including more homegrown officers. McCraw said last February that the rotations were effective but not as efficient as a permanent presence because temporary stints drain troopers from other parts of the state. It’s unclear when the 250 goal will be met because McCraw said the agency must also train troopers to make up for the loss of troopers through retirement and other factors. He said the agency has spent about $78 million so far, with another $5 million earmarked for security efforts. In addition to the new hires, the agency has installed more than 480 cameras to detect illegal activity in the area, deployed eight tactical boats and added 14 aircraft. State Rep. Alfonso "Poncho" Nevárez, D-Eagle Pass, told the committee he's heard from several border county sheriffs who felt left out of important discussions during debate on border security legislation last year. State Rep. Dennis Bonnen, R-Angleton, who sponsored House Bill 11, said the sheriffs didn't approach him until late in the process. McCraw said he couldn’t speak to what discussions between sheriffs and lawmakers.